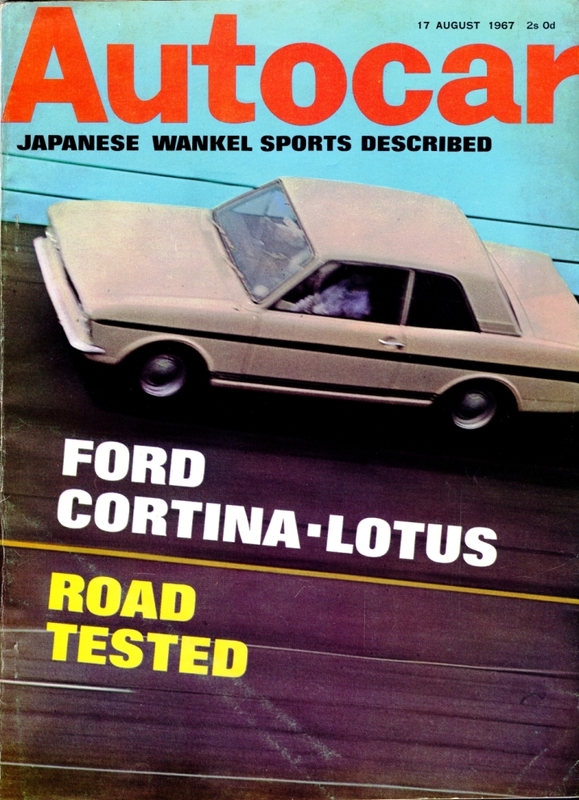 This section provides a list of publications / dates of all road tests and articles written concerning the Lotus Cortina. Some of these are contained in the Brooklands re-print publications, but where they are not, I will try and put a pdf copy online for reading. This is new on 29th Jan 2011, so will be refined and updated over the next few months. 66 11 18 Autosport Photos of KPU 386C Jim Clark testing the car at Bagshot in preparation for the forthcoming 1966 RAC Rally. There is also a black and white picture of Jim Clark and Roger Clark standing next to the car in period. 67 5 1 Motor Sport Line Of Improvement. The Ford Cortina Lotus developed by the Competitions dept. 67 6 1 Car CTC16E / CTC20E Who Killed The Lotus Cortina?